Sony has introduced a pair of digital cameras which are designed to attach directly to your smartphone. The QX10 and QX100 are 18- and 20-megapixel cameras (respectively) that clip onto your smartphone, which is used to operate the camera and view photos. The compact QX10 has a 1/2.3" 18-megapixel sensor and 10X zoom lens, while the QX100 has a large 1-inch-type sensor and fast 3.6X zoom lens. The QX100 is essentially a Sony Cyber-shot DSC-RX100 II without an LCD. 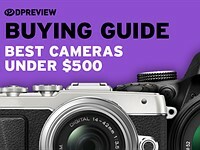 The cameras are priced at $250 and $500, respectively. 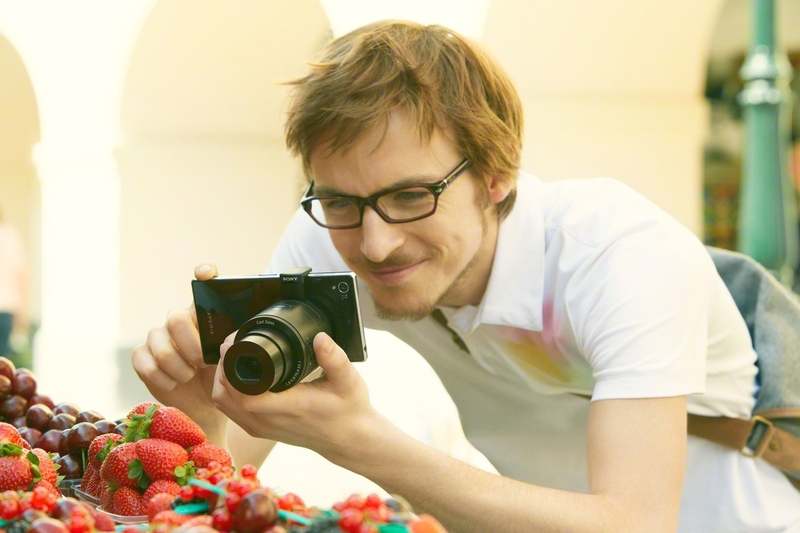 The camera and smartphone are linked via Wi-Fi (with NFC capability), and everything is controlled with Sony's PlayMemories Mobile app for iOS and Android. If you want, you can take photos without a smartphone (as the cameras have physical controls) and transfer the photos later. 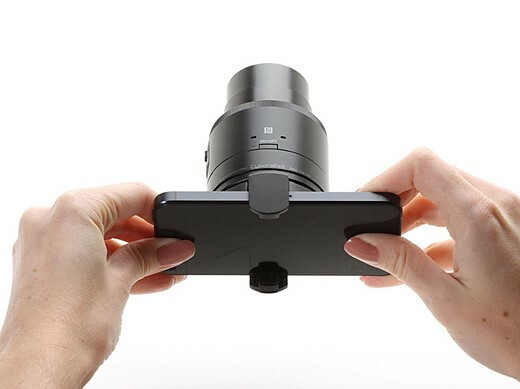 The QX10 and QX100 can be attached to a smartphone via an adjustable clamp. You can also put the camera on a tripod, or just hand-hold it. While the two cameras are different in terms of their lens, sensor and features, the user experience on your mobile device is nearly identical. 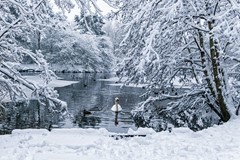 Smartphone photography has shown dramatic gains in popularity, at the expense of compact camera sales. By releasing the QX10 and QX100, Sony hopes to bring people back into the fold by essentially integrating these cameras with a user's smartphone. The QX10 and QX100 come in two parts. There's the camera unit itself along with a bayonet that clamps onto your camera. The clamp is adjustable, so virtually every smartphone is compatible (tablets are another story). Something to watch out for is where the clamp rests. On some smartphones it can be pretty easy to have it sit on the volume or wake/sleep button, so you may need to slide it around a bit. Under the plastic door on the back of the camera unit is the battery, with the memory card slot and tripod mount further below. The SSID and password are printed on the inside of the plastic cover. By separating the camera and clamp you'll have access to the battery and memory card compartments. Under the battery cover is the SSID and password, which you'll need for smartphones that don't use NFC. There's also a QR code here, but scanning it doesn't do anything useful. To our dismay, there's no way to change the password, which makes a quick share with friends difficult. 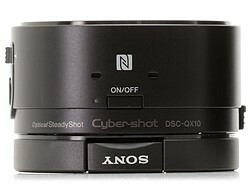 The NP-BN(1) lithium-ion battery that powers the two cameras allows for up to 220 shots on a single charge (using the CIPA standard). 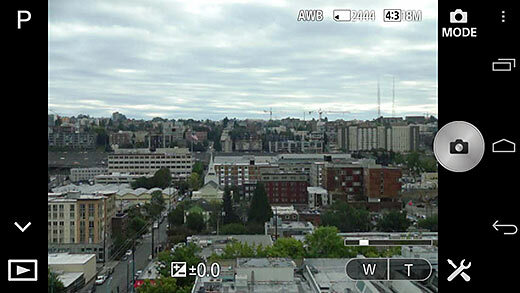 On the side of each camera is a small LCD that displays the current battery level. The batteries are charged internally, over a USB connection. This in-hand photo gives you an example of the enormity of the QX100. 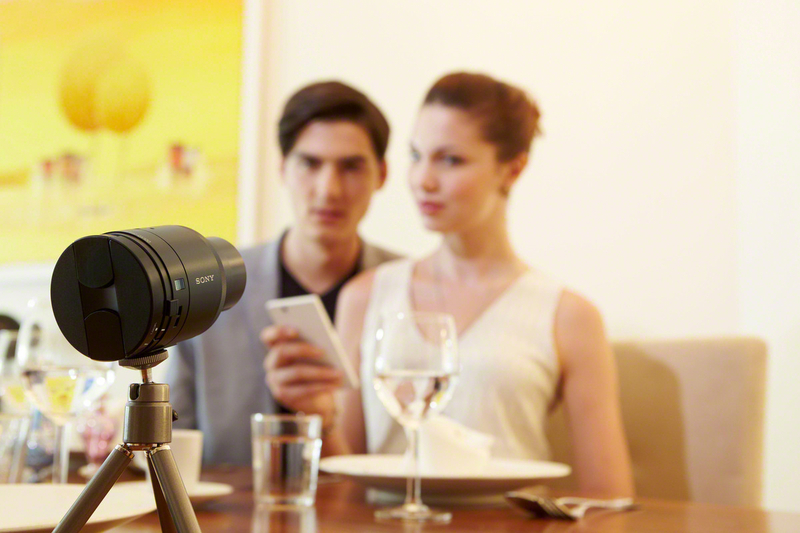 There's a considerable difference in size and weight between the QX10 and QX100. The QX100 is twice as long and 70% heavier than the QX10. Both cameras are too bulky to put in all but the largest pockets, though they will fit in a purse or camera bag. 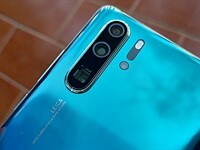 The first thing you need to do in order to connect the smartphone, aside from installing the aforementioned app, is to pair the QX10 or QX100 with the camera unit. This can be really easy, or slightly more difficult. If your phone supports NFC, connecting a lens is a remarkably easy task: just hold the back of your phone to the NFC logo (shown at left) on the top of the camera until they begin to pair. Once the two are paired, you can repeat this to open up the app on the smartphone automatically. Pairing your phone 'the old fashioned way' takes a bit more time, but it's still not terribly difficult. 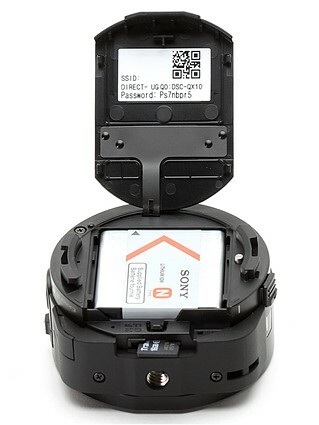 Under the camera's battery cover is the SSID and password that you'll need in order to connect. Select the network on your mobile device, punch in the password (and save it!) and you're ready to go. The actual connection takes 10-20 seconds. The photo composition screen in PlayMemories Mobile has buttons for shutter release, shooting mode, the setup menu and image playback. The PlayMemories App itself is fairly basic. There's a shutter release button, a zoom controller (that's too small) and a button for entering the setup menu. Seeing how your smartphone has a touchscreen, it should come as no surprise that you can tap the area in the frame on which to focus. One thing you cannot do - for obvious reasons - is halfway-press the virtual shutter release to lock focus. You'll need to do that with the physical button on the camera instead. App performance varies from smartphone to smartphone. On the latest and greatest, such as the Galaxy S4 and iPhone 5, there's virtually no lag. On older phones there may be more significant lag. When a photo is taken it is automatically transferred to your smartphone. 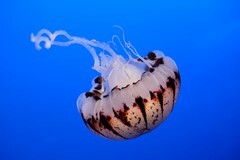 You can choose from downsized (2MP) or full-size images. You can also transfer photos at a later date by choosing the 'copy from connected device' option the settings menu. 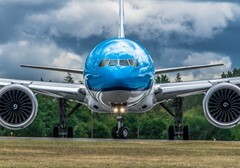 Do note that whenever you go to review photos in the gallery, the connection between the camera and smartphone will be severed. Judging something without having a chance to put your hands on to try, sometimes results in incorrect impression about product. 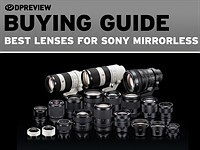 Sony QX lenses are example. Myself, I had no idea about many ways these can be used before I got one. Looking just on product ad I though - Another gadget to carry around, I thought. But once I got it in my hands and started to use it, I realized its potential. 1. self-photogtaphy. This is true breakthrough, it allows to take perfect pictures of yourself and parties posing with you because you can actually see the picture composition, arrangement, yourself as you would imagine it should look like. How many times you asked someone to take a picture of you or trying to play with your camera and the tripod and was not happy because something was wrong and shot had to be repeated? Having view of the scene in the palm of your hand with yourself makes it so easy. 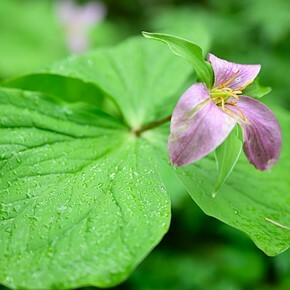 I am able to take pictures if myself or loved ones accompanying me in situations I could never do before. Not only steady family portraits but dynamic scenes when objects including myself move. And I can capture it in the right time... in this perfect moment. 2. "Go where no camera can reach"
3. Spy camera , no comment needed on this I suppose. Ways of use in this mode are endless. I got myself QX10 model because of x10 optical zoom and smaller size. Picture quality is veey good including indoor low light shots, no flash needed. This is perfect smartphone companion if you look beyond just phone photography. It broads way of taking photos in the go resulting in amazing pictures which could never be taken neither with phone or regular camera. With such a limited options, QX10 is much better option! For 500usd I'll find at least two smaller and much better photo solutions! With the SDK/API available to developers I can see these potentially taking on some of the CHDK community. 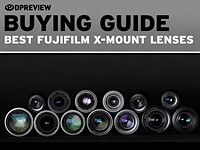 I see it especially helpful for stereo photography enthusiast. The ability to mount a couple of these gems and shift the interoccular distance depending on distance to subjects is awesome. Will they pair with an iPad or iTouch? Also, they should sell this with a remote controlled motorized tripod head so that you can change composition remotely. However, saying that I like the idea of open SDK. I see no reason why the RX100/M2 was excluded from the SDK compatibility list. Since PlayMemories does not support advanced features like custom bracketing, time-lapse, etc. I am hoping someone will develop these apps for us to use. Maybe if they had stuck a prime lens on the high end model and a shorter 5x zoom on the low end model to make them more pocket friendly I could see the point. The price wouldn't even be too bad as is... They'll probably still sell, I'm not sure the novelty will hold for long tho. I guess the size isn't too much of a concern for those who carrypurses on a daily basis, so in that sense getting the IQ of an RX100 for less $ is a decent deal, seems like kind of a small niche tho (women who want better photos and are willing to pay $500 for more seamless sharing despite the numerous tradeoffs). They should honestly just try to advertise more the Wifi/NFC features of the RX100 II and their other compacts (as should Panasonic), it's a pretty desirable feature set that a whole lot of people are totally oblivious to. Just for the historical correctness. Once upon a time of 1998 there had been a camera named Minolta Dimage V.
Its lens and viewfinder had been separated from (and tethered to) the body with computer, LCD and batteries. The lens unit had been clip onto the body. Ok, QX-es have their own battery. After looking mostly at the comments, I think I'm the only excited with this. I'm only excited if this will eventually contain an EVF/LCD to allow composition. This will become my ultimate carry always camera, even for travel photography. 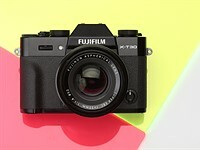 If you want with an LCD, it's called the RX100. You're not the only one. I have a DSLR but I like the idea behind these cameras. 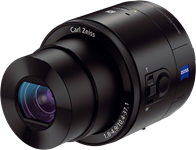 "As for the zoom, you can pick up teleconverters such as this one for a lot less that the QX10. 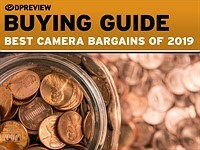 Sure, you can't zoom in and out, nor will the image quality be as good, but $35 is a lot cheaper than $250." Non-sense. Using iPhone for photography is already non-sense and then buying a cheap garbage plastic telephoto with free vaseline on the lens is another non-sense. jcmarfilph is calling a $35 plastic telephoto cheap garbage, not the QX100! No thanks. I will just carry my travelzoom or bridgecam anytime of the day. i do not see this product being successful. People use smart phones in their pockets. Smart phones with huge lenses are not practical. Casual shooters will never use them .And people really interested in photography will prefer to carry real cameras. ...so what this technology will be called ¨CAMERALESS¨??? So for $100 more you can buy a complete RX100, and it won't be tremendously larger than the QX100. And it'll have full control over the various exposure parameters and raw capability. I don't see this being a successful product. It's too cumbersome for casual shooters, and too limited for serious shooters. Unless they change the price and add those few features in software. Let's wait and see, it may make the difference between a succesful product and an oddity. The lens/sensor module for smartphones is a great idea! But if the bigger & better version doesn't feature aperture priority, nor RAW mode (and will possibly have a long viewfinder lag?) it's not ready in my opinion. Sony and Samsung competing who's gonna win the kitsch prize devise, the watch or the lens ? Can not wait for the 300mm 2.8 and motor drive to come out. Just like the recent Alpha 3000: looks promising, ends up disappointing. Clearly aimed at people who don't look any deeper than the first look. You're talking about a large group of people. "If you want, you can take photos without a smartphone (as the cameras have physical controls) and transfer the photos later." How do you compose/view images without smartphone? You just point'n'hope. It'll be the new Instagram. 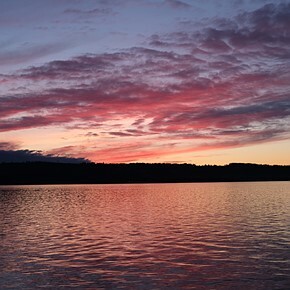 Tons of people will buy the QX10 and then realize that it doesn't take much better photos than their phones. The QX100 is cool. It just costs WAY too much. How could it not take better photos than their phones? 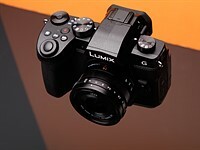 It's got a sensor with a 50% larger diagonal and a lens with 18x more zoom. You ever watch people at events and they are full digital zoom the whole time on their phone. Seems like a bit of a ridiculous assertion. It's because there's little IQ advantage when viewing pictures at a small screen and resolution. The QX cameras should have small LCDs/EVFs to allow rough composition, and make them truly standalone cameras. 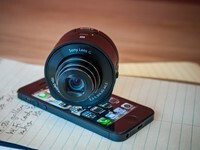 Are you seriously comparing that crappy $5 plastic iphone teleconverter to these Sony lenses? 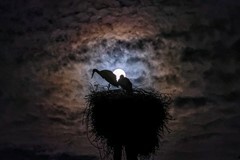 I'm sure if it was a Nikon or Canon DPR would call it a "breakthrough"...!! Give either of these a way to power-up externally and an app to remotely connect to something other than a mobile device and I'd buy one or three. 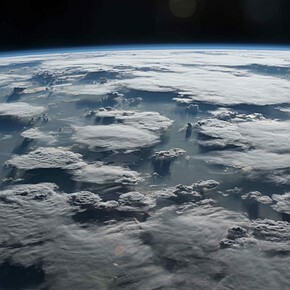 The compactness, relatively low price and wireless transmission has numerous applications in wildlife photography, multiple camera video capture, scientific work etc etc. They have their own batteries and can be used without a phone or tablet. So one of you two is covered. It would be amazing if a 3rd party wrote an Android app to connect to it and offer all the features missing. There are several compacts that already allow wireless control, so that part is nothing new. Really the only new part is that it requires a phone to operate. I disagree that this is nothing new. This is basically a lens, a sensor and a transmitter. The capture and viewing components have been physically separated to remote. The app that controls that can be highly customized i.e. intervalometer, sophisticated motion sensing etc. This form factor would nicely integrate into various robotics, mobile or waterproof devices without superfluous components of a traditional camera (and not look like a camera hitched to something else). This may be a hobbyists dream...well, for me at least. I think it will be a flop. It's a desperate attempt to recapture the point and shoot market they lost to cellphones. Cellphone shooters are happy with what they get and those who are interested in photography and want better quality will buy a better real camera for the same price or less. Everyone is overlooking the simple creative potential. You can put the lens somewhere you can't put your head, or even see. It the same as what I now consider the mandatory tilt screen on a real camera. You can't put a camera with a non-tilting EVF on the ground or over your head without guessing at your framing. This opens up all kinds of possibilities. I have the same technical concerns as many (no RAW?) but the basic are VERY compelling. You can put the lens somewhere you can't put your body, but still see what it's seeing, and no, I'm not interested in snooping. I just mean higher up, lower down, through a fence, behind you, etc. etc. etc. This is new. Ways this can be used: 1) Rock Concert- it's clearly not 'pro', so can be brought in, and can get some amazing live music shots. 2) Can pole mount for simple 'crane' shooting. 3) Can mount to my quadcopter for aerial shots up to about 30'. 4) POV shots, like skiing, bicycling, (like a GoPro). I'm excited, (have ordered one). Just like you do with a current smartphone camera? 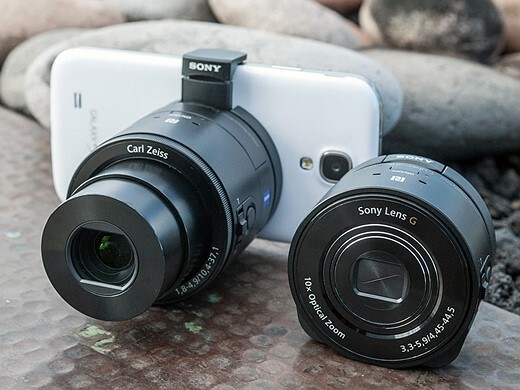 The Sony QX cameras are mobile-photography-targeted modules that allow you to clip a larger sensor, zoom lens and additional battery to your smartphone to extend its capabilities. 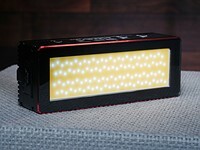 The modules use a Wi-Fi connection to allow their control from a camera app - making them some of the most connected cameras yet. So just what do we make of the compact 10x QX10 and the larger-sensor QX100? 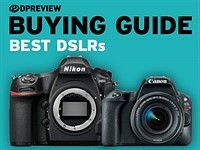 Click through for links to our first impressions content at dpreview.com and connect.dpreview.com.